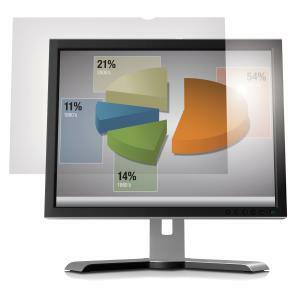 The 3M™ anti-glare filter makes viewing desktop monitors easy by reducing the mirror-like reflections and glare. The thin, frameless filter can be removed and reapplied on the computer screen without forming bubbles. This anti-glare screen protector is easy to clean, fits all standard 19 Inch desktop LCD monitors and helps prevent scratches. Exceptionally durable protection against scratches and scuffs. Superb reduction of mirror-like reflection for improved viewing in bright light. A high quality matte surface, with minimal impact on display image. A smooth touch-screen feel. Fingers won't stick, even if damp. Get long-lasting screen protection with 3M™ Natural View Screen Protectors. They apply easily, remove cleanly, and help keep your mobile device looking good longer.